Crime and Punishment is specially designed for students pursuing the three-year or five-year degree course in law education institutes including national law schools. It will also be a useful reference for institutions imparting legal education, members of the legal fraternity, social scientists, police, prison, and investigating authorities. 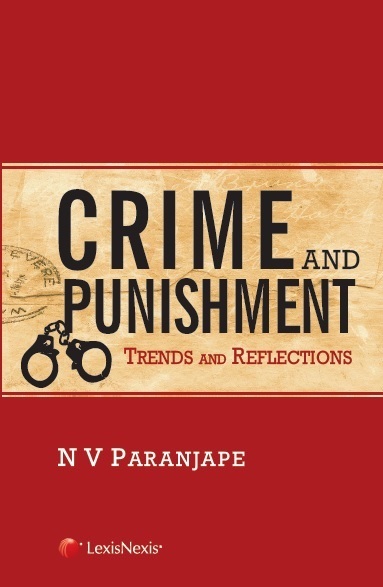 The book begins with an explanation of the concept of crime and its prevalence in India, the fundamental principles of criminal law, the theories of crime and criminality and goes on to classify crime into organised crime, and crime against women. It also discusses crime control and prevention, punishment and its theories and forms of punishment, namely, capital punishment, collective fine and community service, and the alternatives to punishment.